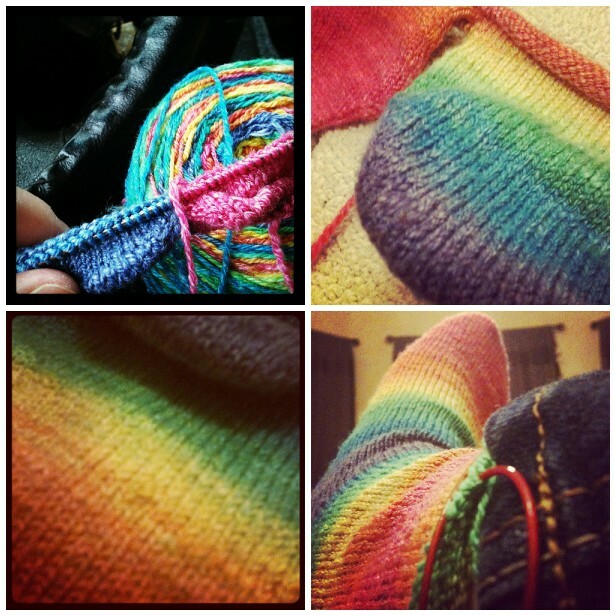 My new rainbow socks started as 3.5oz of SW Merino/Bamboo Rayon/Nylon top dyed in Loud and Proud. I finally got the motivation to finish when I hung out with the RI Spinning Guild at the Fiber Festival of New England. Then I chain plied the singles straight from the bobbin. OY…this was the first time I’ve ever chain plied on a wheel. I probably should have done so with a bigger single, but I like to jump straight into the deep end when it comes to fibery pursuits. 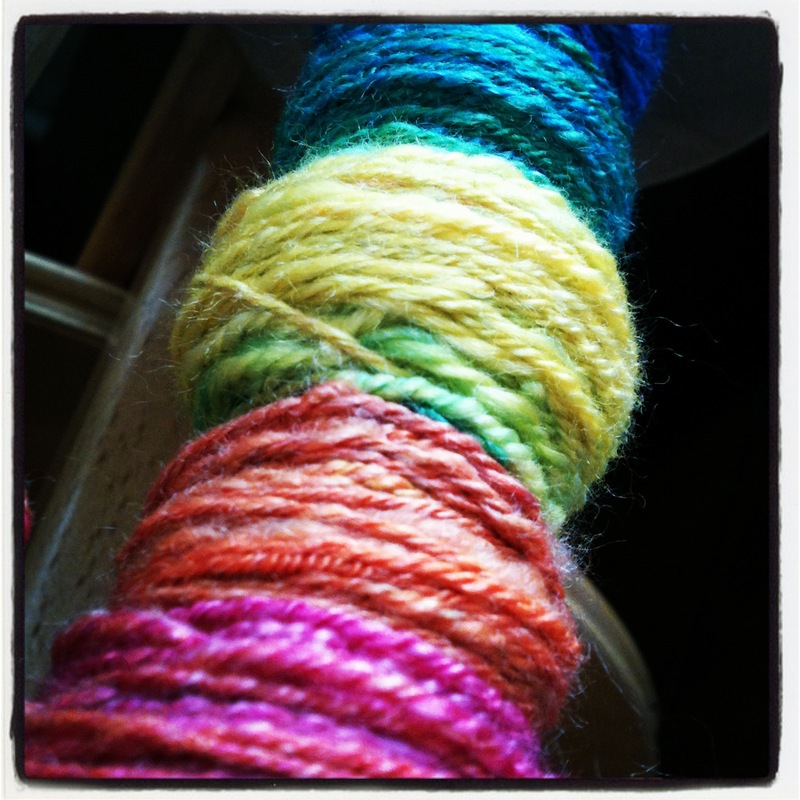 I made yarn! 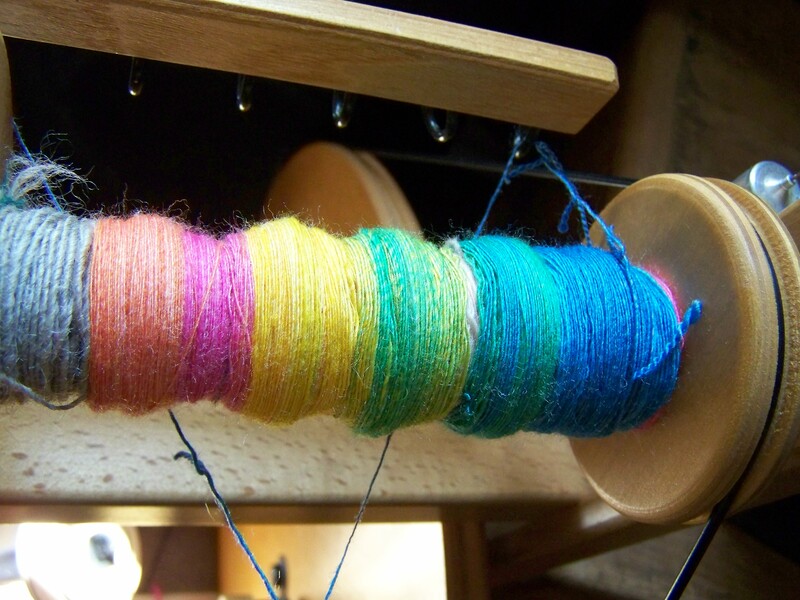 I need to work on spinning consistently throughout a skein. I had a bunch of bumpy, slubby bits where the singles twisted up on themselves (pics below) but it was usable AND A RAINBOW! 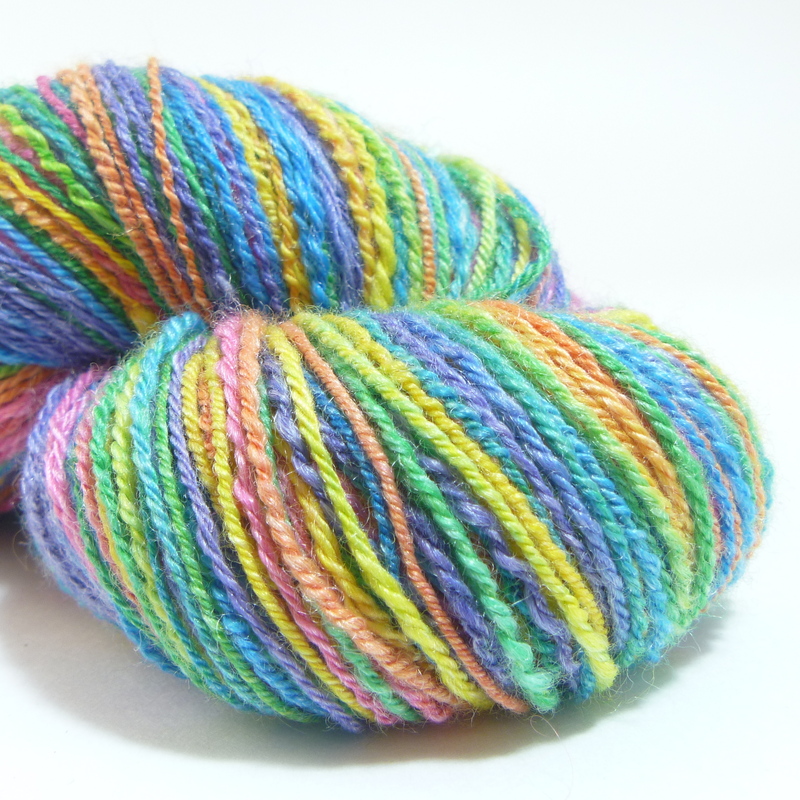 I immediately cast on toe-up socks, two at a time, working from the inside and outside of a center-pull ball. 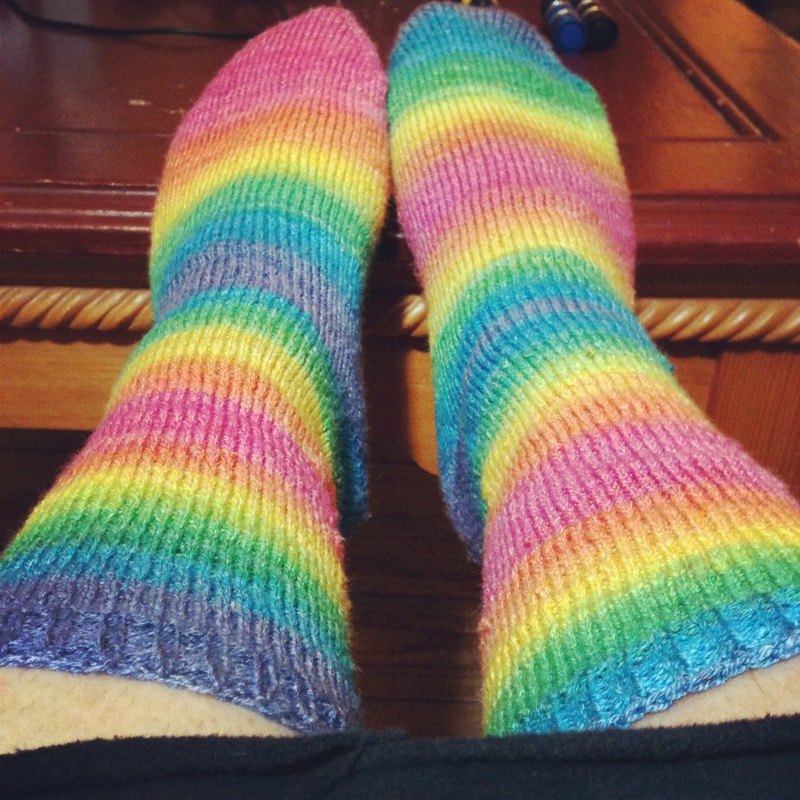 I knit on them through December and into January. 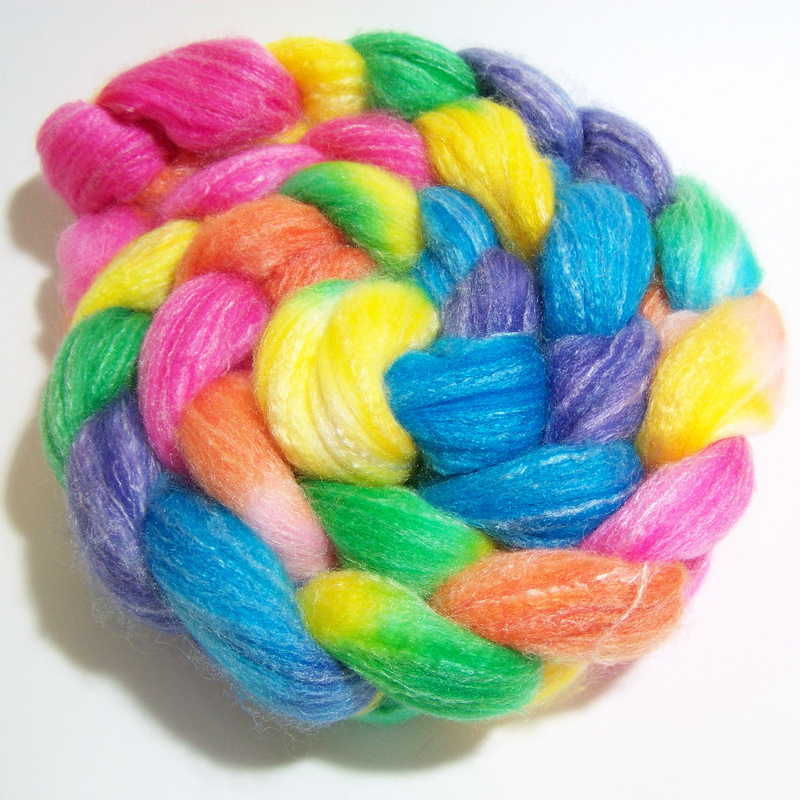 I spun and plied this pretty hard for durability which didn’t make the knitting very enjoyable. 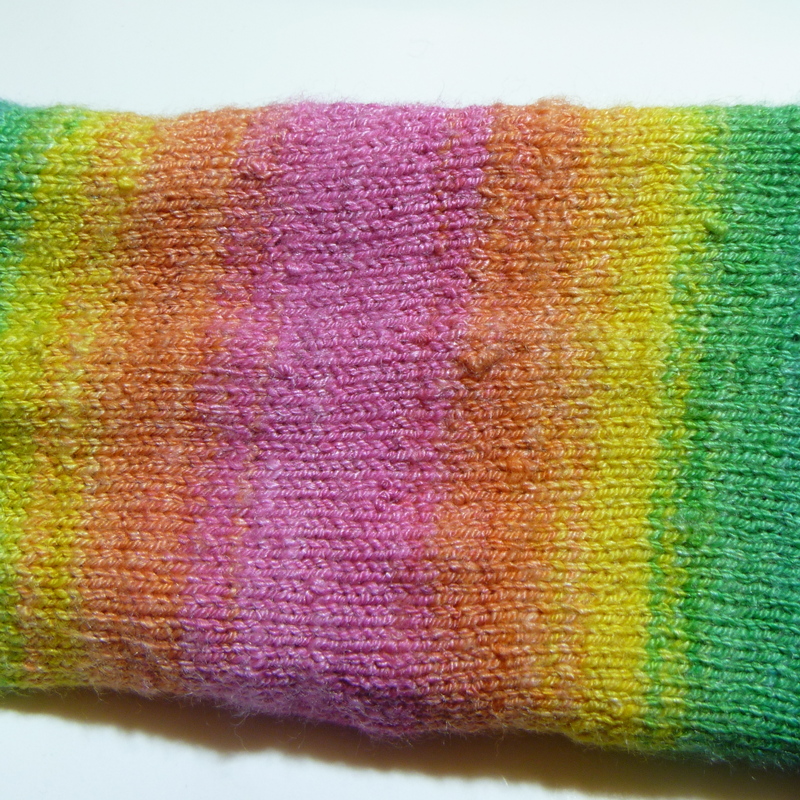 And I knit the socks on 1.5mm needles so I wouldn’t call them soft either. But they’ll wear pretty well and they keep my feet warm but not suffocating like some 100% wool socks do. AND RAINBOW! I think I wore them three days in a row this week. I had to wash them for so I could get a close up pic of the slubby bits. This entry was posted in Knitting, Spinning by cgovernoillustration. Bookmark the permalink.